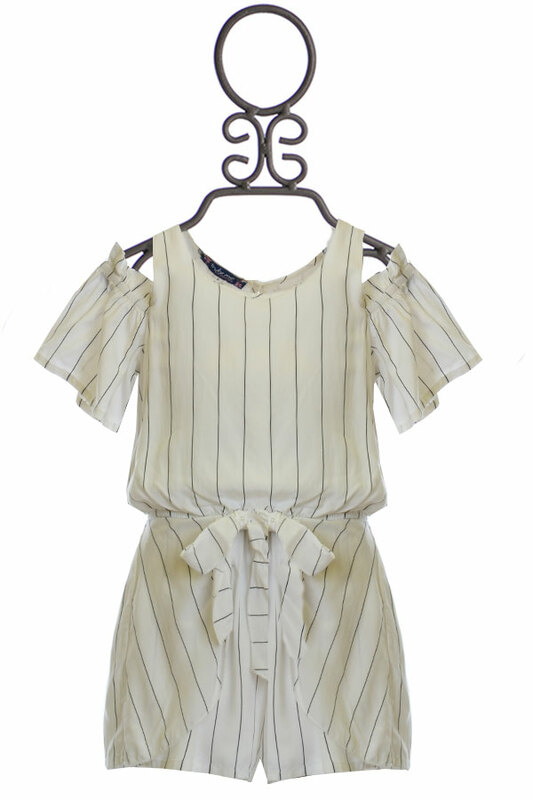 $38.4 - A new arrival from Truly Me, this tween romper is a playful creation she will adore. The design begins with a white fabric that is covered in thin black stripes. The bodice is completed with an elastic waist. Her neckline has straps before the cold shoulders lead to short sleeves. The paired shorts are created with the same comfortable fabric. The wrapped style is too cute and swoops to the middle of her waist.